From Charles Martin, the New York Times bestselling author of The Mountain Between Us, comes a story of buried secrets, lost love, and the promise of second chances. Allie is recovering from the loss of her family’s beloved waterfront restaurant on Florida’s Gulf Coast when she loses her second husband to a terrifying accident. Joseph has been adrift for many years, wounded in both body and spirit and unable to come to terms with the trauma of his Vietnam War experiences. When Joseph offers to help Allie rebuild her restaurant, it seems a flame may reignite—until a 45-year-old secret from the past begins to emerge, threatening to destroy all hope for their second chance at love. 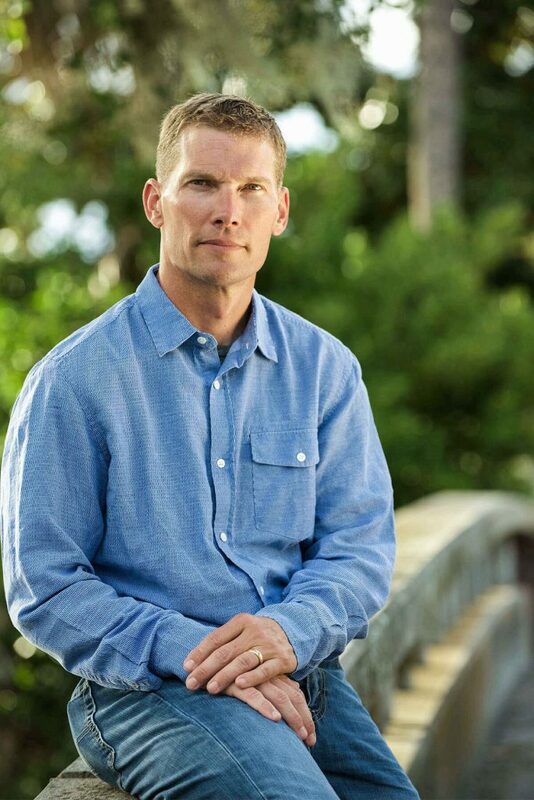 Charles Martin is a New York Times and USA TODAY bestselling author of thirteen novels. He and his wife, Christy, live in Jacksonville, Florida. 1. At the opening of the story, Allie is faced with two significant losses—that of her husband and the Blue Tornado. In what ways does she cope with her grief? How have you coped with similar losses? Can you relate to Allie’s hardships? Her ways of coping? 2. Why does Joseph retreat to the cabin? Is he seeking something or avoiding something? Or both? 3. How might we compare and contrast Joseph’s life situation with Allie’s? In what ways are they similar? In what ways are they different? 4. Rosco may be Joseph’s dog, but he is still an important part of the story. What role does he play? Suzy is another supporting character who plays a significant role. How does her character contribute to the story as a whole? 5. Joseph appears at the accident as if by grace. Does Allie react to his reappearance as you would expect? Does Joseph? Have you had an unexpected reunion with past friends or significant others? If so, did you feel as if it happened for a reason, as Joseph and Allie do? 6. Much attention is given to the upbringing of Allie and Joseph, and the influence of family—fathers, mothers, and siblings. What did you notice about how these family relationships have affected the lives of each character? Can you relate? How have family relationships and memories affected you? 7. Joseph has seemingly given up on life, but something within prompts him to help Catalina, Diego, and Gabriella. What do you think that something is? 8. Catalina, Diego, and Gabriella are like castaways. They have been abandoned, and they are seeking a kind of shelter—a shelter Joseph is able to provide. Do they provide Joseph with something as well? What might that be? 9. Abandonment can be literal or emotional. 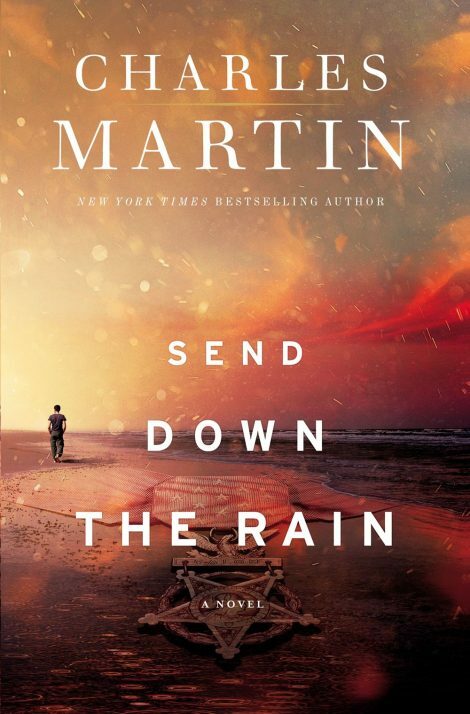 Many characters in Send Down the Rain have been abandoned in some way. How so? What led to their abandonment? 10. A major revelation comes to Allie and Joseph regarding Jake. Were you surprised? Did you find this twist believable? 11. With their original homes lost, the characters seek a place to call home. Have you found yourself seeking a “home” at different times in your life? What makes a place feel like home? 12. The novel has a very strong sense of place, from the Carolina mountains to the Florida shores. How are these settings meaningful to the story? Likewise, much of the story takes place on the road, between places. Is the road symbolic? 13. Are the hopes of Joseph and Allie fulfilled? How so? Do you believe new beginnings are possible? If so, what makes them possible? If not, what makes them impossible? Are they partially possible, but only to an extent? The breeze tugged at my hair and cooled my skin. The waves rolled up and rinsed my heels and calves. Seashells crunched beneath my bathing suit. The air tasted salty. Shirtless and tanned, I lay on my back, propped on my elbows, a pencil in one hand, a small piece of paper in the other. The paper was thick. Almost card stock. I’d torn it out of the back of a book. An amber sun was setting between my big toe and my second toe, turning from flame orange to blood red and slowly sliding down behind the ball of my foot and the edge of the Gulf of Mexico. I busied the pencil to capture the image, my hands giving my mind the space it needed. me. Cross- legged. He wiped his forearm across his nose, smearing snot across a tearstained face. In his arms he cradled a jug of milk and a package of Oreos. Our favorite comfort food. He set them gingerly between us. I was nine. Bobby was two years older. We could hear Momma crying in the house behind us. The sun disappeared, and the breeze turned cooler. Bobby dug his hand into the package, shoved a cookie into his mouth, and shook his head. The sound of a plate shattering echoed out of the kitchen. Another cookie. Another crash from the kitchen. Another shake of the head. When they got married, Daddy gave Momma a set of china. Made in Bavaria was stamped on the back of each piece. She displayed them in the cabinet. Locked behind the glass. We weren’t allowed to touch them. Ever. Evidently she was smashing them piece by piece against the kitchen sink. Oreos out across the waves. They flew through the air like tiny Frisbees. A final shake of the head. He unscrewed the milk jug top and held it to his mouth. Two more plates hit the sink. I took a drink, and the milk dripped off my chin. He flicked another Frisbee. I sank my hand in the package, stuck a cookie in my mouth, and then threw several like Bobby. The little chocolate discs intersected each other like hummingbirds. Behind us Momma wailed. Another plate hit the kitchen sink. Followed by another. Then another. The change in sound suggested she’d made her way through all the plates and moved on to the cups and saucers. The cacophony echoing from the kitchen kept rhythm with the irregular drumbeat of our own shattering fragility. I glanced over my shoulder but could find no safe purchase. Tears puddled in the corners of Bobby’s eyes. His lip was quivering. When Momma screamed and had a tough time catching her breath, the tears broke loose. Bobby pushed his forearm across his lips and nose, smearing his face and arm. His hair had fallen down over his eyes. Like mine, it was bleached blond from saltwater and sunlight. I stood and offered him my hand. He accepted it and I pulled him up. The sun had nearly disappeared now, and cast long shadows on the house. Where our world lay in pieces around us like the ten billion shells at our feet. Bobby stared at the road down which Dad had disappeared. I put my arm around his shoulder, and his sob broke loose. We stood on the beach, alone. Fatherless. Empty and angry. I made a fist, crushing a cookie. Grinding it to powder. When the pieces spilled out between my fingers onto the beach, a physical and very real pain pierced my chest. Fifty- three years later, it would stop. Witnesses say the phone call occurred around seven p.m.
and the exchange was heated. While the man seated at the truck stop diner was calm and his voice low, the woman’s voice on the other end was not. Though unseen, she was screaming loudly, and stuff could be heard breaking in the background. Seven of the nine people in the diner, including the waitress, say Jake Gibson made several attempts to reason with her, but she cut him off at every turn. He would listen, nod, adjust his oiled ball cap, and try to get a word in edgewise. He rubbed his face and eyes. “Dead on my feet.” A minute or two passed while he hunkered over the phone, trying to muffle the sound of her incoherent babbling. “I know it’s a big deal and you’ve put a lot of work into . . .” Another pause. More nodding. Another rub of his eyes. “Invitations . . . decorations . . . lights. It was more of the same. Nothing had changed. Allie Gibson wasn’t listening anyway. She was screaming. At the top of her lungs. With their marriage on the rocks, they’d taken a “break.” Six months. He moved out, living in the cab of his truck. Crisscrossing the country. But the time and distance had been good for them. She’d softened. Lost weight. Pilates. Bought new lingerie. To remind him. This was to be both his birthday and welcome home party. Along with a little let’s- start- over thrown in. The diner was small, and Jake grew more embarrassed. He held the phone away from his ear, waiting for her to finish. Allie was his first marriage. Ten years in and counting. He was her second. Her neighbors had tried to warn him. They spoke in hushed tones. “The other guy left for a reason.” The inflection of their voice emphasized the word reason. Jake didn’t get to tell her good- bye. She spewed one last volley of venom and slammed the phone into the cradle. When the phone fell quiet, he sat awkwardly waiting. Wondering if she would pick back up. She did not. The waitress appeared with a pot of coffee and a hungry eye. He wasn’t bad looking. Not really a tall drink of water, but she’d seen worse. Far worse. The kindness in his face was inviting, and judging by the appearance of his boots and hands, he didn’t mind hard work. She’d take Allie’s place in a heartbeat. “I’m sorry,” then stood, reached over the counter, hung up the phone, and quietly thanked the waitress. Leaving his steak uneaten, he refilled his coffee thermos, left a twenty on the table to pay his seven- dollar bill, and slipped out quietly, tipping his hat to an older couple who’d just walked in. He walked out accompanied by the signature tap of his walking cane on concrete— a shrapnel wound that had never healed. He gassed up his truck and paid for his diesel at the register, along with four packs of NoDoz, then went into the restroom and splashed cold water on his face. The police, watching the diner video surveillance some forty- eight hours later, would watch in silence as Jake did twenty jumping jacks and just as many pushups before he climbed up into his cab. In the last two and a half days, he had driven from Arizona to Texas and finally to Mississippi, where he’d picked up a tanker of fuel en route to Miami. He had tried to make it home for his sixtieth birthday party, but his body just gave out. Each eyelid weighed a thousand pounds. With little more than a hundred miles to go, he’d called to tell Allie that he’d already fallen asleep twice and he was sorry he couldn’t push through. She had not taken the news well. He eyed the motel but her echo was still ringing. He knew his absence would sting her. So amiable Jake Gibson climbed up and put the hammer down. It would be his last time. Jake made his way south to Highway 98. Hugged the coastline, eventually passing through Mexico Beach en route to Apalachicola. At Highway 30E he turned west. Seven miles to the cradle of Allie’s arms. He wound up the eighteen- wheeler and shifted through each of the ten gears. Though he’d driven the road hundreds of times, no one really knows why he was going so fast or why he ignored the flashing yellow lights and seven sets of speed ripples across the narrow road. Anyone with his experience knew that a rig going that fast with that much mass and inertia could never make the turn. State highway patrol estimated the tanker was traveling in excess of a hundred and ten when 30E made its hard right heading north. It is here, at the narrowest point of the peninsula, where the road comes closest to the ocean. To separate the two, highway crews had amassed mounds of Volkswagen- sized granite rocks just to the left of the highway. Hundreds of boulders, each weighing several tons, stacked at jagged angles, one on top of another, stood thirty feet wide and some twenty feet high. An impenetrable wall to prevent the Gulf from encroaching on the road and those on the road from venturing into the ocean. “The rocks” was a favorite locale for lovers sipping wine. Hand in hand they’d scale the boulders and perch with the pelicans while the sun dropped off the side of the earth and bled crimson into the Gulf. The Great Wall of Cape San Blas had survived many a hurricane and hundreds of thousands of tourists walking its beach. No one really knows when Jake Gibson fell asleep. Only that he did. Just before ten p.m. the Peterbilt T- boned the wall, pile- driving the nose of the rig into the rocks with all the steam and energy of the Titanic. When the rocks ripped open the tanker just a few feet behind Jake, the explosion was heard and felt thirty miles away in Apalachicola, and the flash was seen as far away as Tallahassee—a hundred miles distant. Alarms sounded and fire crews and law enforcement personnel were dispatched, but given the heat they were relegated to shutting down the highway from eight football fields away. No one in or out. All they could do was watch it burn. Allie was sitting on the floor of a bathroom stall hunkered over a fifth of Jack. Tearstained and tear- strained. From three miles away she saw the flash off the white subway tile wall. When she saw the fireball, she knew. The several- thousand- degree heat was so intense that Allie— along with all the partygoers—were forced to stand outside the half- mile barrier and helplessly inhale the smell of burning rubber. They did this throughout the night. By early morning the fire had spent its fury, allowing the water trucks to move in. By then not much was left. A few steel beams. One wheel had been blown off and rolled a quarter mile into the marsh. The back end of the tank looked like a soda can ripped in two. At the blast site, the only thing that remained was a scorched spot on the highway. Closed- circuit television cameras positioned on the flashing light poles a mile before the curve recorded Jake at the wheel. Facial recognition software, as well as Allie’s own viewing of the recording, proved that faithful Jake Gibson with his characteristic oiled ball cap was driving the truck and shifting gears as it ventured north on 30E. No part of Jake Gibson was ever found. Rescue and coast guard crews searched the ocean and the shoreline throughout the night. They thought maybe if Jake had been thrown through the windshield at that speed, his body would have shot out across the rocks and into the ocean on the other side, where there’s a known rip tide. If so, he’d have been sucked out to sea. Like everything else, the search turned up nothing. And like everything else, each failed search reinforced the excruciating notion that Jake died a horrible, painful death. The weight of this on Allie was crushing. Jake, the affable husband who simply worked hard enough to put food on the table and laughter in his wife’s heart, was not coming back. Ever. The last year or two or even three had not been easy. He had worked more than he’d been at home, staying gone weeks at a time, months even. Allie knew what people thought . . . that she was just tough to live with. She was left to plan the funeral and decide what to put in the box. But every time she tried to tell his memory that she was sorry, she was met with the haunting and deafening echo that the final three words she spoke to Jake were not “I love you.” Instead, her last words to him had been spoken in a spit- filled tirade of anger. And for those words, there was no remedy.